Rumi is a modern Middle Eastern restaurant dedicated to promoting all things Eastern Mediterranean and beyond. Since opening in 2006, Rumi has grown from it's small beginnings to become one of Melbourne's favourite restaurants. Joseph and Natalie Abboud's homage to the flavours and generous hospitality of Persia, Turkey and Lebanon sits amongst Australia's best Middle Eastern restaurants. Rumi has appeared on "Food Safari", Anthony Bourdain's "No Reservations" and is consistently rated by Melbourne chefs as one of their chosen places to eat. Whether it is a large group celebration, an intimate dinner with friends or a quick nourishing bite- let our dedicated team look after you. We are open 7 nights a week. Groups of 8 and above are required to have a banquet - please call the restaurant on (03)93888255 to book. Please note we have two sittings at Rumi Restaurant. This is a sample of the menu that we offer in house. with pickled eggplant, chilli, & walnut salsa. Please note: although great care is taken when preparing your food, please take extra caution if you have severe food allergies. THESE DISHES HAVE EARNED THE 'CLASSIC' STATUS AT RUMI, SOME OF WHICH HAVE BEEN ON THE MENU SINCE DAY ONE. THE RUMI CLASSIC BANQUET IS A REAL CROWD PLEASER THAT GIVES YOU A TASTE OF 12 DIFFERENT DISHES THAT ARE TRIED AND TESTED WINNERS. The Chef’s Seasonal feast takes in 14 different dishes that are based on produce that is in season and at its best right now. Here is an example of what is offered within the Seasonal Feast, please note this may vary day to day. 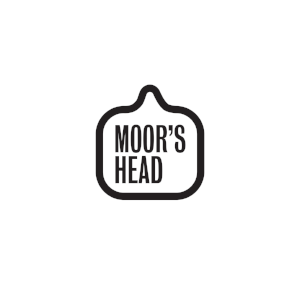 Our full menu is available for take away. 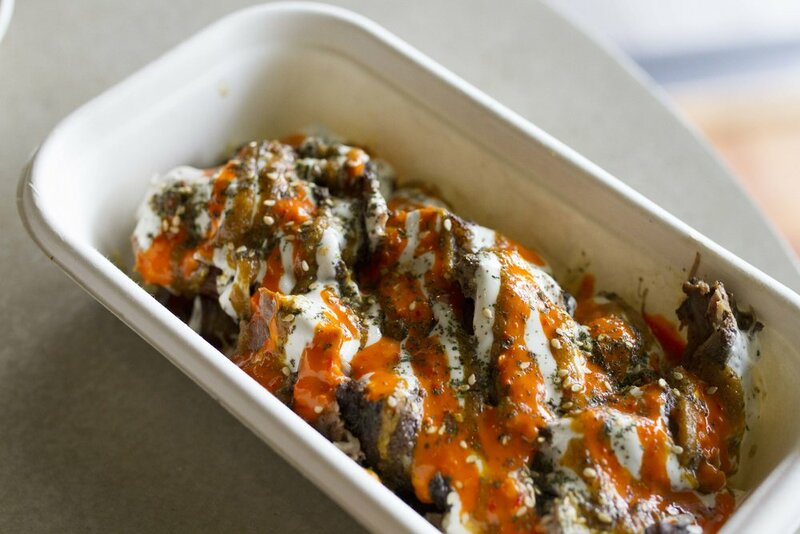 Rumi’s signature slow roasted advieh spices lamb shoulder on a bed of crispy fried potatoes tossed with tour and zaatar, topped with melted haloumi, feta and kasseri cheese and finished with our holy trinity of homemade chilli, garlic yoghurt and secret barbecue sauce. Alternatively call (03)93888255 after 6PM to order take away for pick up. Please note we are unable to take reservations over our general enquiry form.